Nuevas Builds de rFactor 2 : la 298 y la 300 más un nuevo demo para probar el simulador.Mejorando la parte gráfica para hacerlo más ameno y fluido y en el tema de físicas trabajado la suspensión y la geometría en si. También esta el Fix para esta versión que arregla los problemas de la Build antes mencionada. Fixed startup crash caused by mods with exceptionally long descriptions. Fixed TTool draw error, etc. 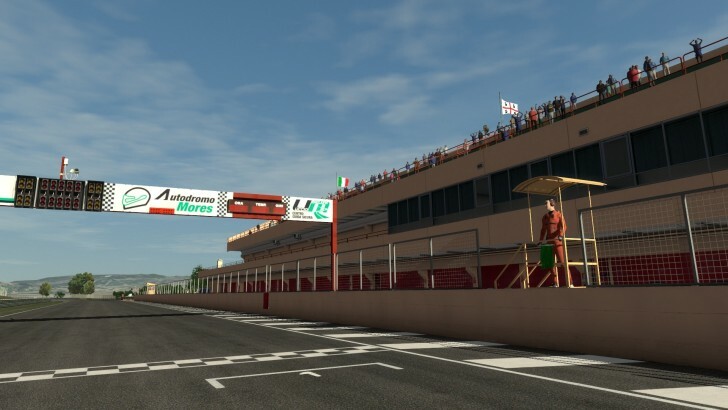 ISI a realizado un interesante artículo sobre el proceso de físicas en rFactor 2, para todos los desarrolladores de mods que no son pocos es una información muy valiosa para saber como funciona el ya no tan nuevo simulador. How do we get shape and construction information of the car? 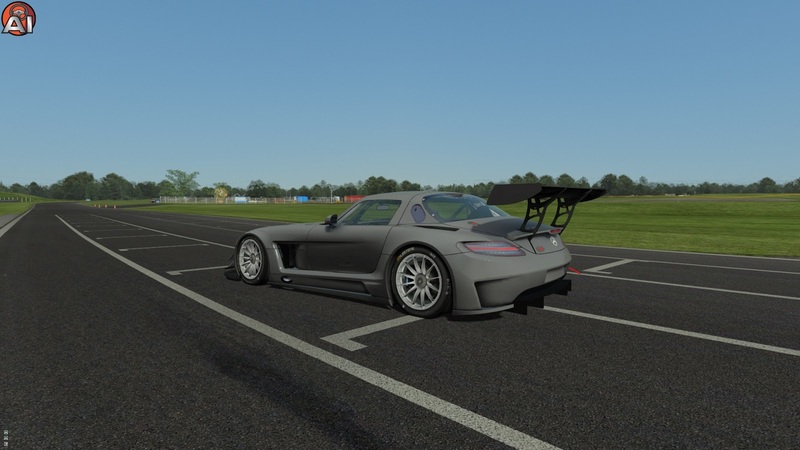 No two real-life race cars are built exactly the same, no matter how hard they try, so the best way to ensure an accurate simulation of all cars of that type, rather than one example car that could have fundamental differences to every other, is to go straight to the designer. 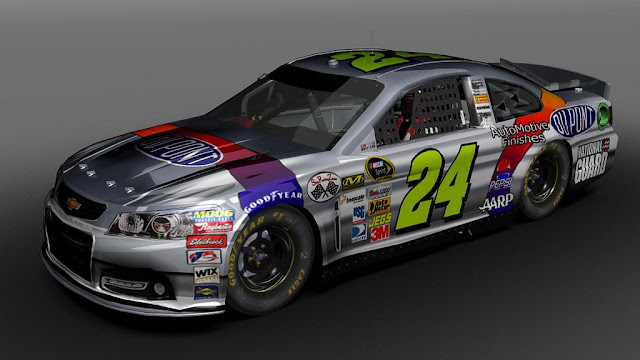 By building cars for the software as they were intended to be built, you actually have a more realistic example of all the race cars of that type which were built, rather than one example of its differences. The most simplistic method for building is from a designers blueprint drawing of four angles: Front, top, side and back. Everything is at the same scale, without perspective, and can be used as a background image of those angles during the modeling process. This is perhaps the least accurate of the methods we use, but is quite common for a lot of the older cars, which were designed and built before computers were widely used. When working from drawings, we often have to gain access to these cars to confirm some details. They often lack information on the internal workings of the car. 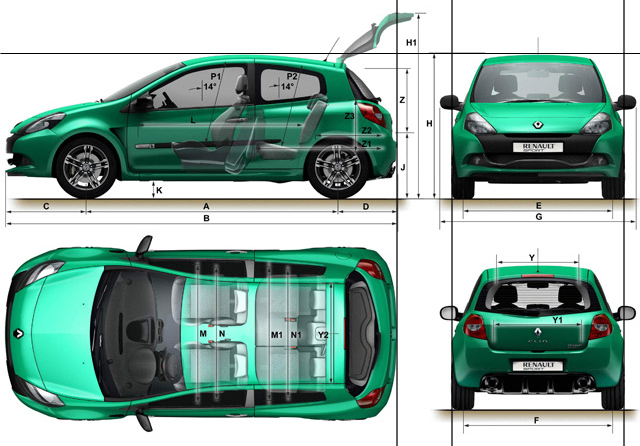 Similar to the example above, some modern car designers provide us with ‘digital blueprint’ files which have the cars in the form of vector shapes. Like the blueprint drawings, these have the same four angles shown, but can be zoomed in for greater accuracy during the model building process. For this example, and the one above, we build the model by tracing 2D shapes in a 3D space. While this can be very accurate, it relies heavily on the skill and patience of the person we have building it. A standard vector blueprint layout. The most accurate form of data, and the easiest to work with, is modern 3D data. This comes directly from the designer and allows us to trace the 3D shape in 3D space, giving amazing accuracy in our model when compared to the original design. A major benefit of 3D data is that it may include the internal portion of the car, and this ensures greater accuracy when developing physics. The 3D data we receive is often too high quality to be used in a retail software environment, and that is why we are still using it to trace the shapes for our own model. 3D Model of rear end, after using designer 3D Data. 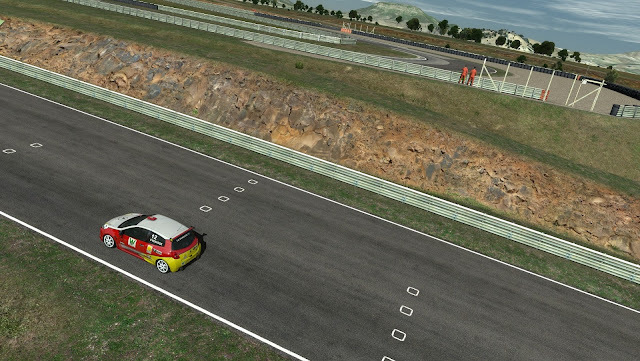 How do we get data on vehicle physics and car setup? With every car we build, we try to work with the designer or someone who had direct involvement with the car in a competitive environment. There is a lot of trust required from manufacturers and teams when sharing information, even when they are helping us with a car no longer in active competition. The most common form of technical data we get is a ‘car manual’ from the manufacturer. These are the same manuals provided to racing team engineers to help them understand, setup and maintain the car they have purchased. In most cases these are quite detailed, but may lack important information that usually we can ask the manufacturer, or a team we have made contact with. Data can sometimes be calculated using common sense. A crude example could be the exact weight of a brake disc, where if you know the material, you approximately know the density, and together with the dimensions you can approximately work out the volume, which allows you to calculate its mass and inertia. 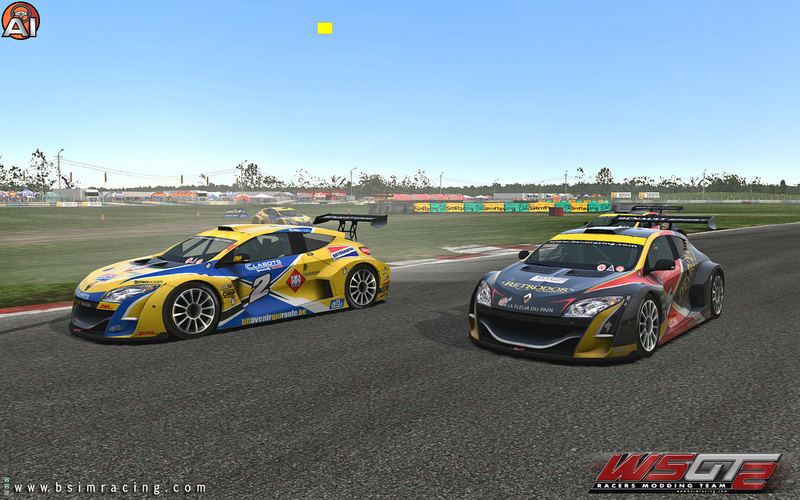 Unfortunately, there are times when both the manufacturer and any teams using their vehicles are unable to help us. 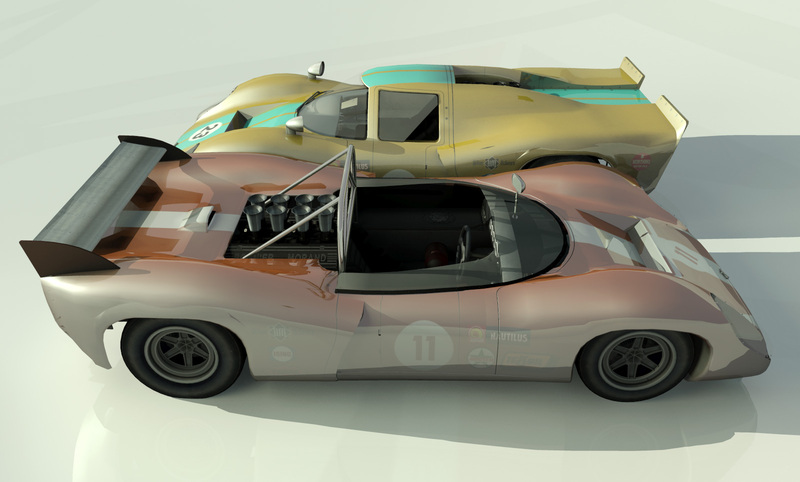 In those situations we can draw on experience we have building cars of similar construction, we can search in literature or archives (depending how old the car is), or we can use our own in-house physics simulator and design tools. Our in-house physics development tool, which most PCs are not powerful enough to run. The goal of a simulation is to simulate the real world as accurately as possible, our in-house tools help us check the data we are given is correct, and is how we plug any gaps in that data. 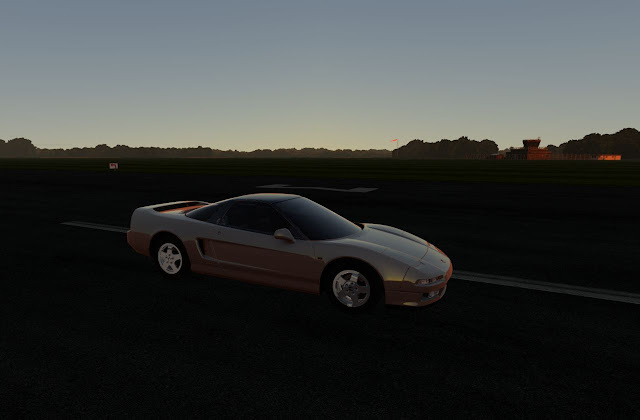 We can run full physics simulations, and this allows us to complete both the most complex and simplistic tests we need to, all within real-world constraints. 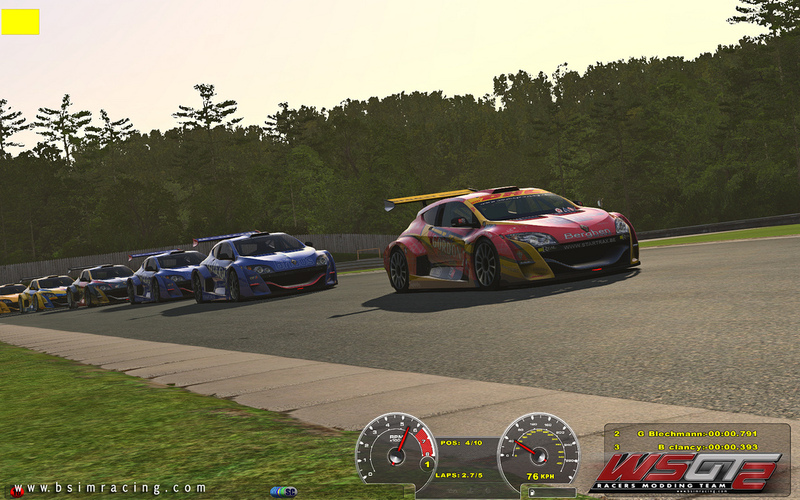 In some cases the computations from our tools are too complicated to be run in real time on current home technology, but the attributes of vehicle dynamics are now fairly well understood, and anything that has a significant real world bearing must be simulated in some manner, even if it is using a simplified model (creating the same results) within retail software. As we go forward, and technology advances, those simplified models can become more and more advanced, and therein lies the benefit of ongoing software development over boxed products. The most difficult data to acquire, is tire data. Many teams work under a non-disclosure agreement with tire manufacturers, and this means we occasionally have to purchase and test tires ourselves. We also use our own tools to verify any information we are given, or test various scenarios to build our own data. How do we verify what we have in the software? A lot of theoretical work and testing is required using our tools before anything is driven. When we reach that stage, and all the data is plugged into pMotor engine, other tools can be employed, in what is more of a verification stage than anything else. 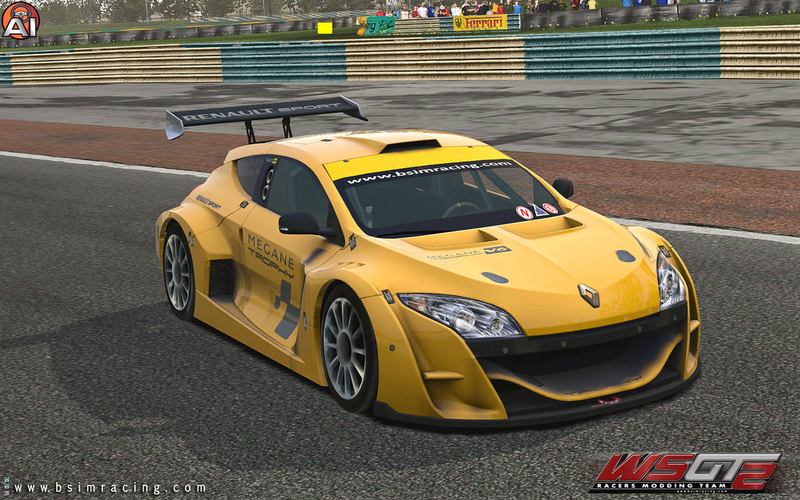 Methods such as video overlay, telemetry and driver feedback are used to further refine the vehicle. It is at this point where any discrepancies should become clear and the causes investigated. 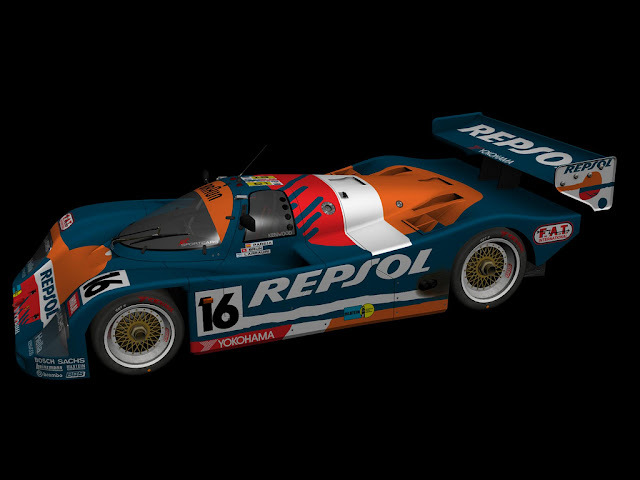 So for v0.95, everything has been reimported from scratch and done completely from 3dsmax. WARNING: First, let me warn you. Performance might be worse for you than in previous versions. 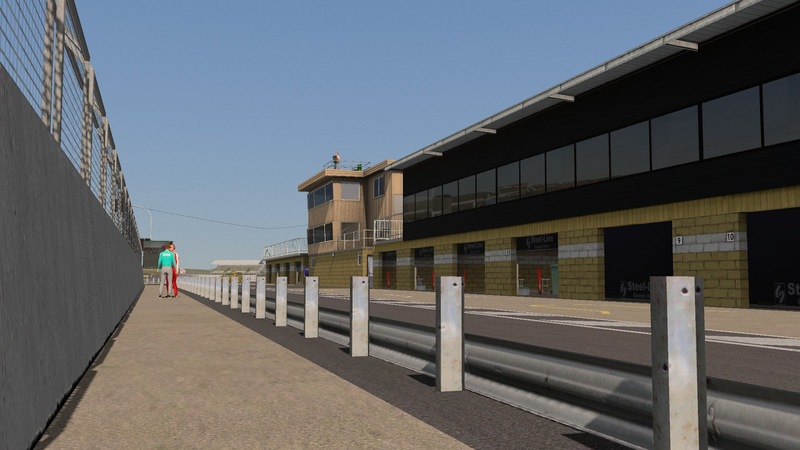 Remember that this is a 20km track, and as the track will have more and more eye candy its performance will go down… probably to a level worse than silverstone in the future. At least, I hope so, that would mean the goal is reached! I wanted to make shadow groups and vis groups, but it will be done for the v1.0. It will require quite a bit of time to do properly. So, there was a little performance increase coming from the better mesh (a whole lot of vert welded) but the curbs have a higher resolution now, and there are quite a bit more shadows, and the shadow out is greatly increased so there is little shadow pop in. This is basically the setting that max users will enjoy. It is the same for high as well. Everything has been set to high and max. So if too slow, reduce to low or med. 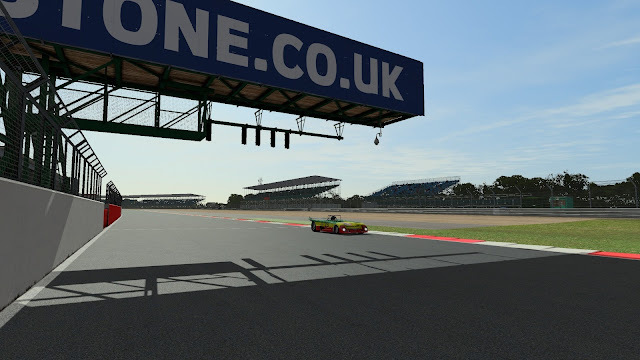 The track mesh is now in a much better state. Drives a bit smoother, but it is still a bumpy ride. Don’t ever expect this track to lose much of its current bumps, as it wont happens. I love how the track feels, it feels alive, and I think it represent well a segment in time of the Nords. The track may be smoother today, but its seen very rough days from what I can hear, and this track is clearly modelled around those time. Most of the materials have changed. After seeing a video of the automatic bmw earlier, I noticed how green the inside grass (between fence and track) really is. So it is now a bit brighter. The rest is basically the same. I used the patch texture from limerock to replace the mowed texture from silverstone. The curbs have been tessellated a second time, and now feels much better. I went over many textures, and created norm and spec maps (after seeing a tutorial on youtube) for most fences, they now stand out a bit more. All trees have been levelled to the ground, and re-arranged to prevent flickering. The night lighting is now in, and on top of the moon light, there are a light coming from the gpk sign that is lit at night, and from the few lights on the side of the track. The track now looks very good, to my taste at least. I tried to have a quick shot at reflections but werent successful. I would need help creating the alpha channel for my road texture. If somehow could explain to me what I must do to make a proper one, it would certainly help me. I tried to look at the one from other isi track and make one for the many textures there are, but I dunno if it was my global plane that wasnt right, or the alpha channel, but the track wasnt looking right. Was mostly dull gray, with no reflection. Well, I’ll stop now, cause my memory is failing me, at its nearing 3am, and I’ll let you download it and try instead! 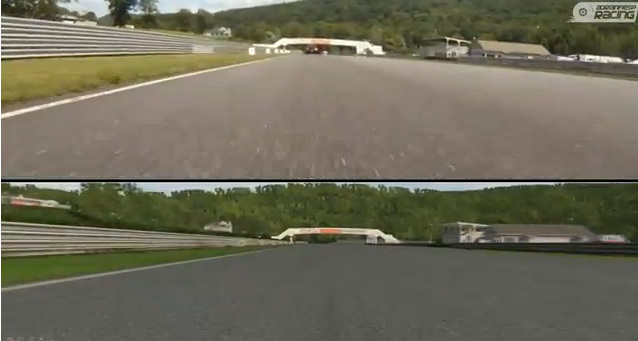 ADRIANF1esp comparando el simulador rFactor 2 en el circuito de Lime Rock Park, vídeo que no tiene desperdicio con momentos que no sabes cual es el real y cual no, juzguen ustedes mismos. 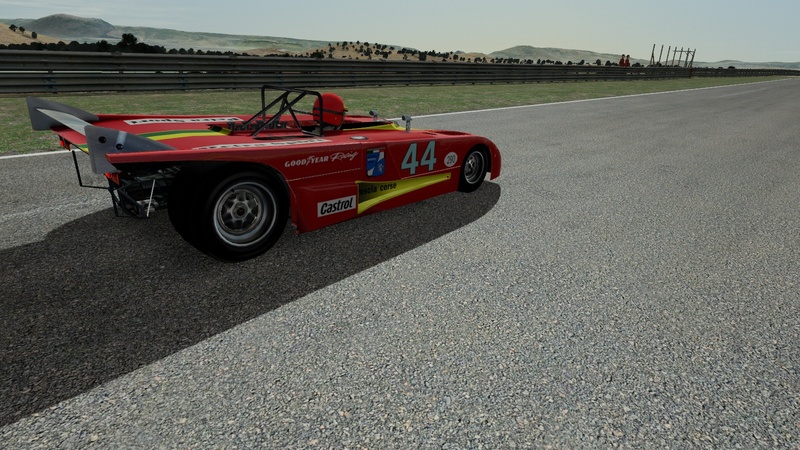 Liberado el trailer rFactor 2 Historic Prototype Content realizado por varios BetaTester viendo el contenido que viene en el nuevo paquete que piensa lanzar ISI rodando en diferentes circuitos, no tiene desperdicio lo que nos espera en el ya no tan nuevo simulador. 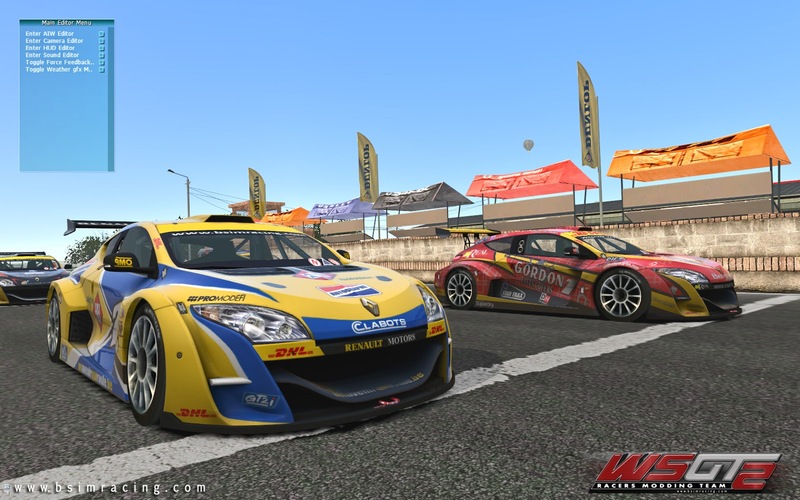 ISI Comenta en este escrito aspectos muy importantes de los pensamientos y futuro de rFactor 2 tanto en el tema modding y multijugador que irán haciendo cada día más grande este simulador. Q: Which of the implemented features will be improved, and how? A: Limiting scope of the implemented features to non-trivial ones, I (Jeremy) cannot think of one area in the simulation we are 100% satisfied with. We are always improving existing features. Q: Which features are planned, but waiting for the future to be implemented? How is the priority working for completing existing versus developing new? A: Priority is not the only indicator when deriving a schedule of work. Complexity of the feature is a more indicative metric when estimating completion dates. In most cases, this makes estimation of completion difficult, as you only really know how long something will take once you are deep into execution. Mistakes in estimation happen when you are forced to give one earlier. At this time, we would prefer not to make public a specific set of planned features, except those answered in other questions. Q: Will we get more Dev examples of files, with explanation of each line to aid customization of the files? A: Yes, you should see gradually updated guides, more examples, etc. However, modding will never be for everyone. There will always be some barriers, whether it is purchase of software required to mod, or the expense of time. Hopefully, eventually, documentation won’t be the limiting factor. 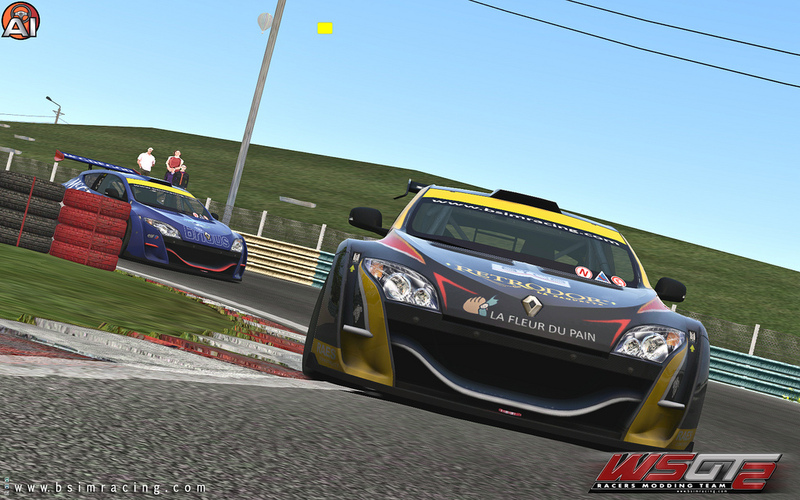 Q: With regard to offline play, the ability to edit these files, and control the format of a race weekend is essential. Will this be made easier? A: Actually this is something I (Tim) recently whined to the developers about myself. 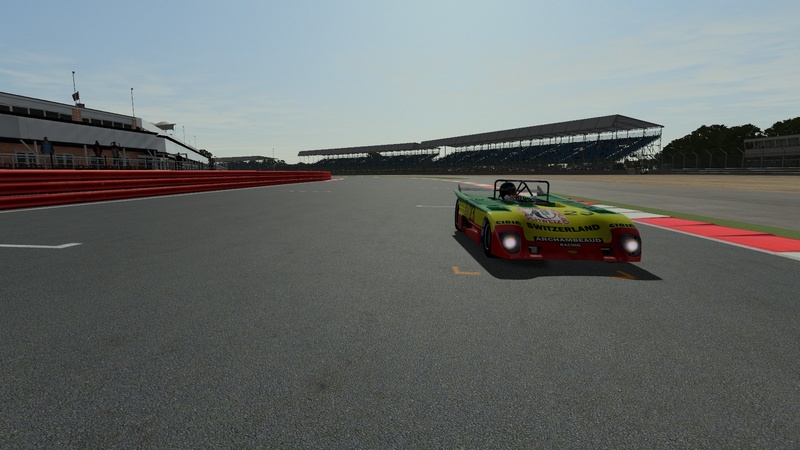 I’ve become more of an offline racer than online lately, and it is currently difficult to make yourself a carset to race against… I’m hoping! Q: There are people still saying they would have to update too much to release mods now… If true, when do you think it will be ready? And what is the main reasons they would think like this? A: I (Tim) don’t really think it is true now, or ever was completely. Compared with the effort of making a mod – at all – the work involved from build to build, was nothing. Modders always had the option to update for any changes at their own pace, the main problem I saw was impatience among others for mod work to be done. 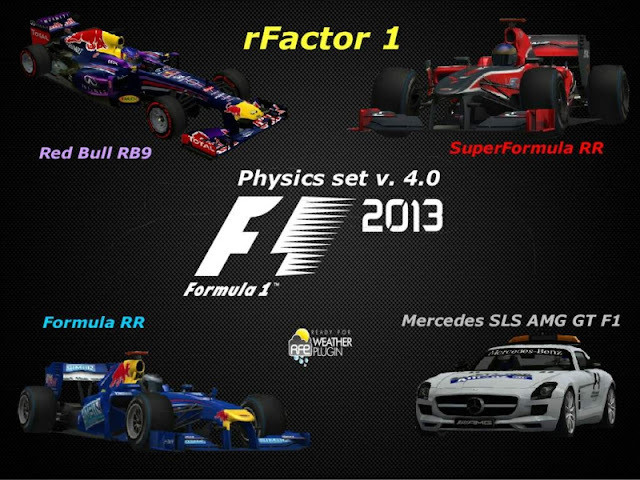 I think the greater issue was the difference between rFactor and rFactor 2. The difference in quality you see between the first tracks we made ourselves, and the latest, is a good example. 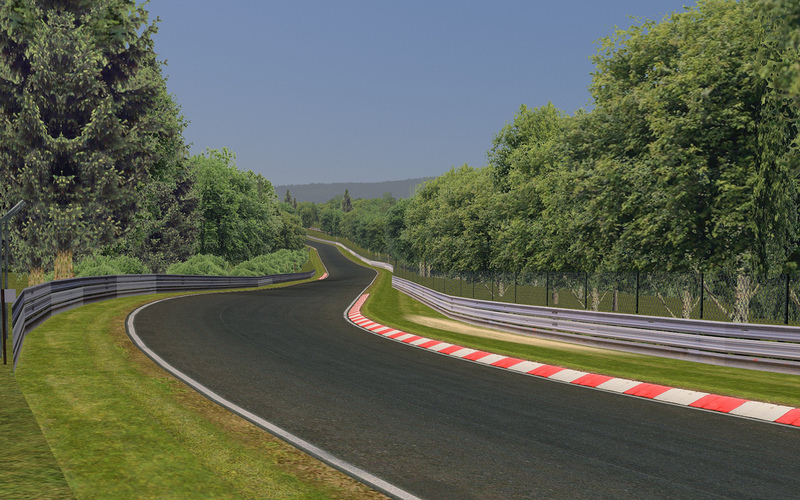 Belgium was built for what more closely resembled rFactor than rFactor 2. We took time to refine our own techniques as the product evolved, and they would have had to do the same if they started when we did. Although for quite some time it’s been fairly static in ways which would affect them. 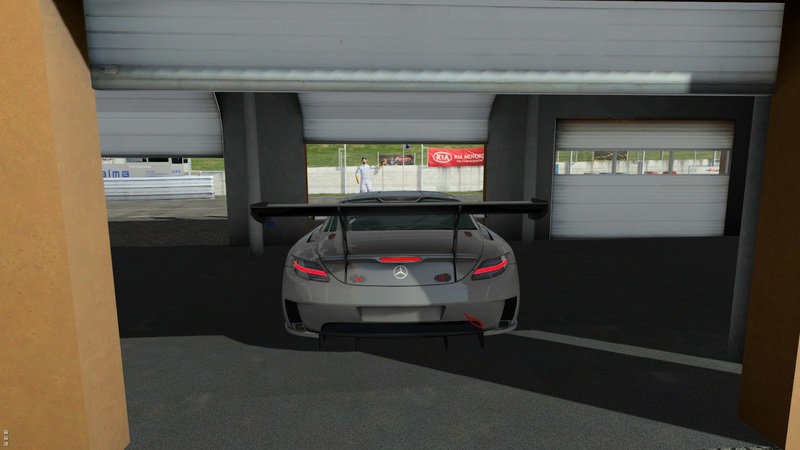 Building from scratch is really going to give the quality required now by rFactor 2, and this takes time… Though I think there’s already a lot more content for rF2 at this point than rF1 had. Q: Given the professional quality of ISI developed licensed content and the realism that brings to your product, is the time and effort invested to support open modding in rF2 still considered a worthwhile endeavor? A: Absolutely. While it is important for the product to have an established set of content for both marketing and user enjoyment, extended usage will likely come from the new content released by both ISI and by modders over the coming years. A: We are currently adding an optional new constraint system that could handle these. But presumably you’d want some trigger to break the hoods and doors open, and aerodynamics for the roof flap, and that part is not high priority. Q: Will there be support for solid front axle? A: In working on the new constraint system, that possibility occurred to us. Although it’s still not high priority (higher than flapping hoods and doors, though!) 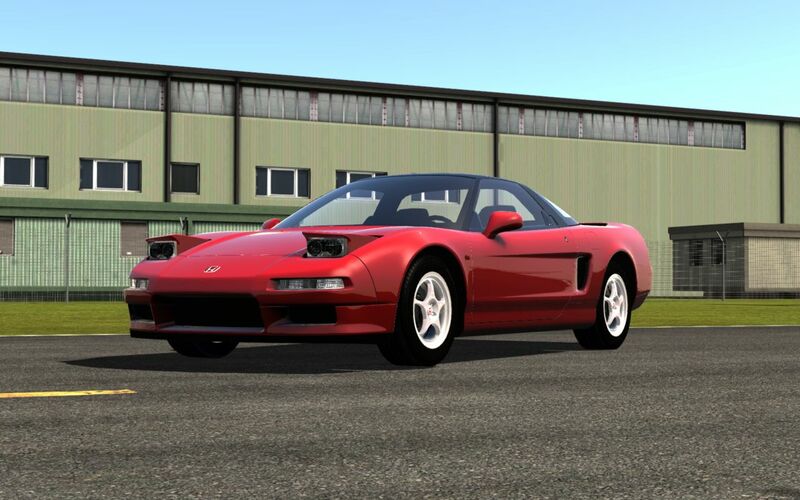 It’s a little bit of work – what car do you want to use it for? 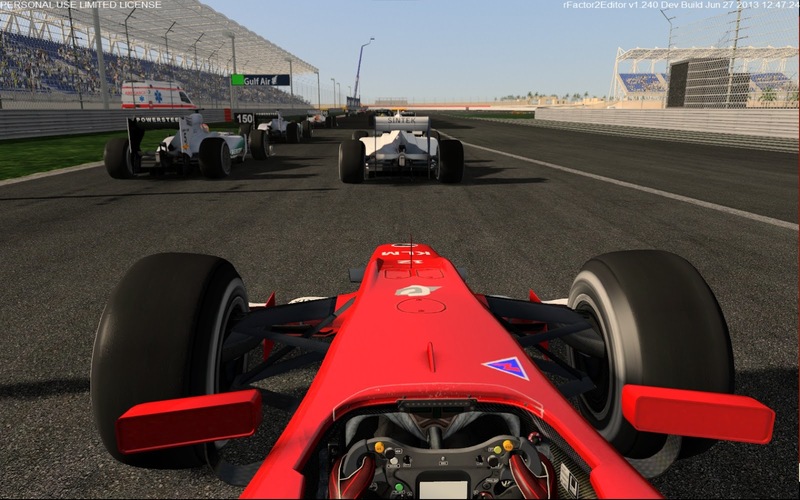 Q: The collision physics are not quite ready for league racing at a top level yet. Is this high on the priority list? Q: Are there plans to add further control such as success ballast, reverse grids, multiple races in an event? A: There is already ballast, the ability to reverse grids, and the ability to run multiple races, so I presume you mean adding some sort of automated means to do so. We would like to, but will probably try to shift control of those things to plugins, since there are an infinite number of ways to run a weekend. Q: When will rF2 be league ready at high level. Where is it on priority list? Q: Will ISI host a server(s) in the future? A: We do have a server hosted by NRT, but mostly use it for testing (it’s useful to have an external system as well as internals). We will use it for special events at some point. Other servers of our own are all required for testing full-time right now. Perhaps if the type of development we focus on ever changes. Q: Any plans to improve lobby view? I would like to see server settings before I enter the server. Q: Will we get the shorter club track for Mills? Q: Are there any big plans for further AI improvements that you can tell us about? A: Work on the AI is continuous. 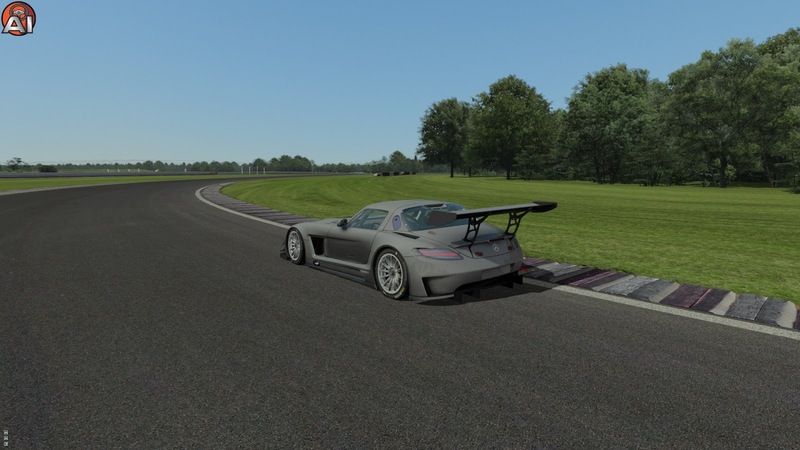 Each new class of car and track combination exposes quirks and limitations in the system that are then improved upon. 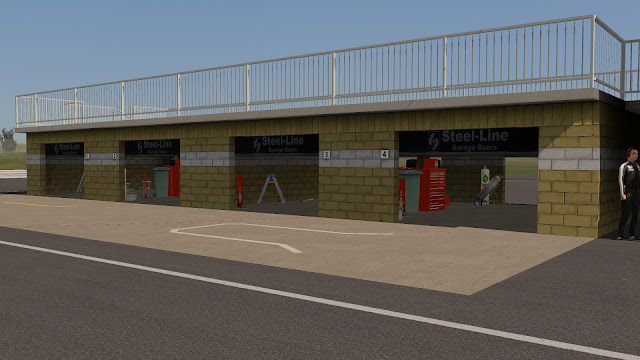 Q: When can we expect the AI to pit as they should to react to changing conditions (weather, damage, tire wear)? Q: Any internal talks about DX11 in the future ? Is the move to DX11 much to complex? A: It’s not about complexity, it is about benefit. There isn’t enough benefit to using it right now, though that does not mean there won’t be benefit going forward (though that might be with DX12, DX13, etc). Q: Will headlights ever cast shadows? Will lights be improved generally? Q: Are replay animations (axle/suspension movement) going to improve? A: If you’re talking about better tie-in with physics, there are some future plans. Q: Is a real 4 core support (quad core) planned? A: Like most of these kind of things, we need there to be more reasons to do it than there currently are. We can’t say no, for sure. Q: Is 64bit support ever likely to happen? A: We’ve made some progress in this area, but it’s certainly not ready for primetime. I’d say there’s definitely a chance of it happening. Q: Do ISI acknowledge that there is a problem with running and pop up shadows (and some wet weather road reflections, I think) and when can we expect it fixed? A: Shadows are continuously being optimized and improved, you should see some benefits in the next update. 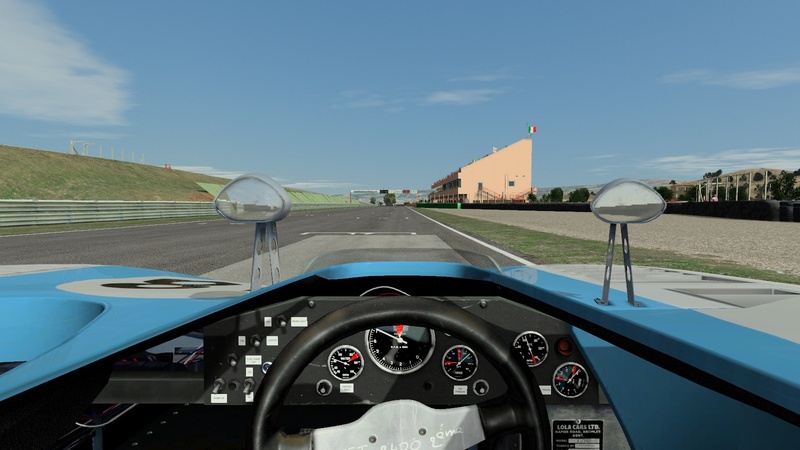 Q: In rF1 you could turn the real mirrors off and use only virtual mirrors. This resulted in a significant FPS gain. 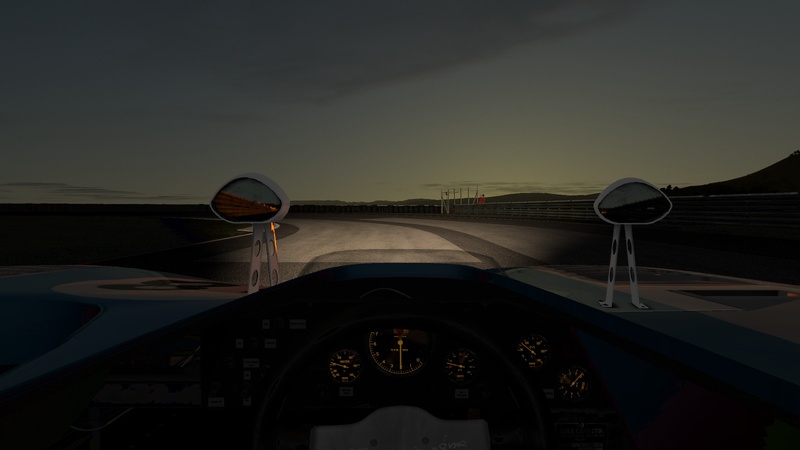 If I turn the mirrors off in rF2, I gain 20% more FPS. This, to me, is huge. 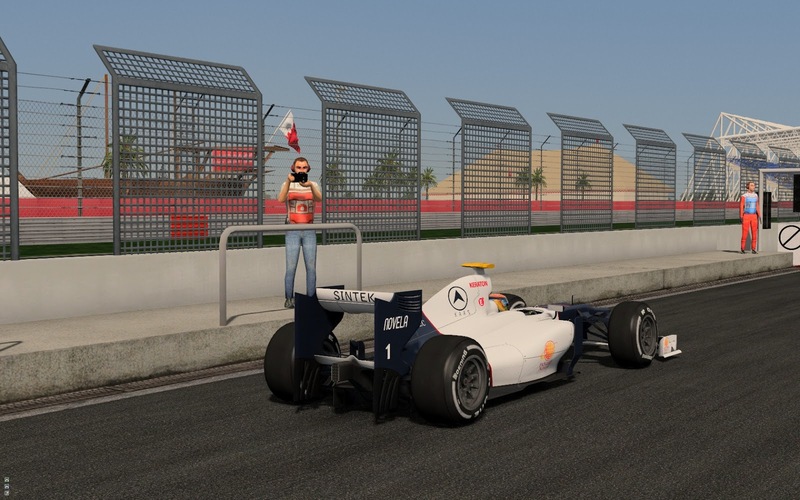 Can we do the same in rF2? A: Turning off mirrors is not the same as using virtual mirrors, don’t expect the same result. However, we will see about adding the option you’re requesting. Q: What are the plans on the performance side? Can we hope for improvements? A: We’re always working. Yes. A: Yes. I (Joe) am currently working on a complete setup for triple screen including arbitrary angles between screens, bezel correction, and proper FOV based on distance to screens. Q: Can we expect some improvement in the tyre physics? 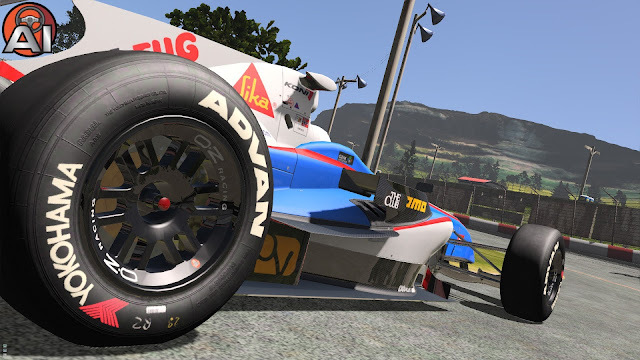 How are the development priorities for tyre physics? A: Yes. Medium (currently behind new constraint system, multiplayer collision, and improved driveline). Q: Are the wet weather physics completed for all tyres in all conditions? If not, when will they be? A: No. Code needs aquaplaning, then the tire files would likely need updating. 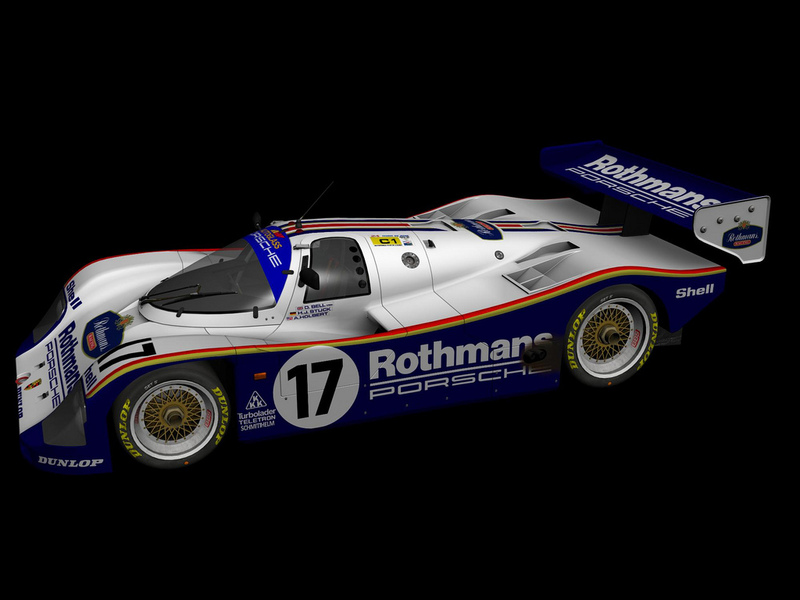 Q: Is the contact patch still not simulated properly? If not, when will it be? A: There are many different levels of simulation. 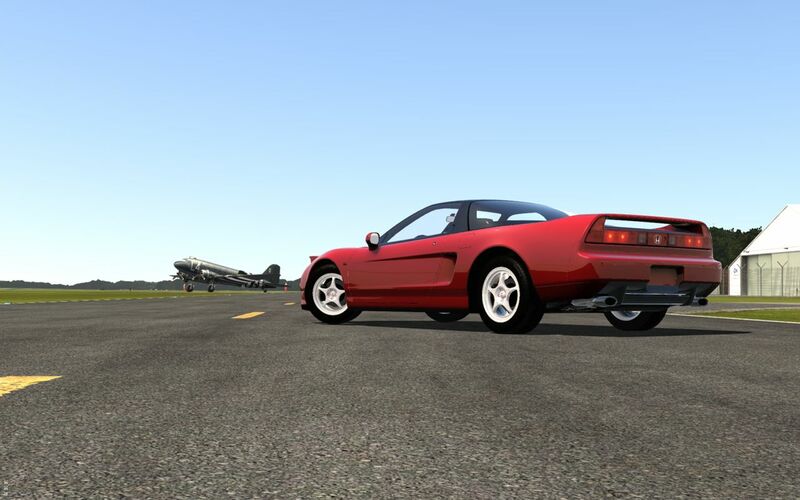 The contact patch is simulated properly, but it could be simulated even better. That is also medium priority. 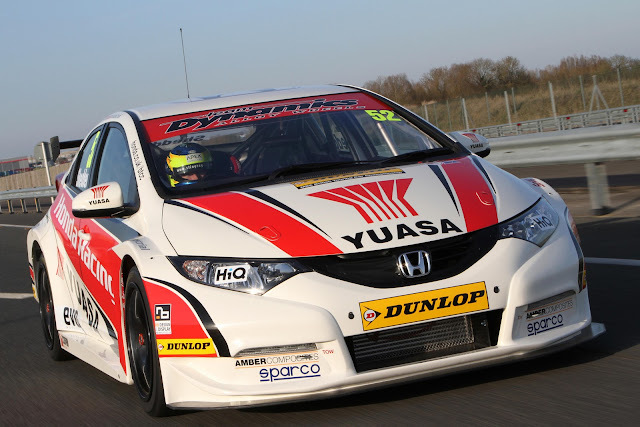 Q: What improvements are planned for the clutch and gearbox to make manual gear changing more relevant? Will there be a realistic starter? A: There’s a fairly high-priority task to improve the driveline model. Personally I (Terence) don’t see much need for a starter that is more realistic at this time, so I would consider that part pretty low priority. Q: Will it ever be possible to drag dirt or gravel onto the track from off course? A: Doesn’t seem that likely at this point. Q: Will there ever be tire damage from crash debris? A: That is in future plans, can’t guarantee it will happen soon though. Q: Will an offline championship mode be included? A: It is unlikely. But we may eventually do something similar using stat collection, which may replicate the functionality, and possibly expand it. Q: Will the plugin delay bug be ever sorted? A: This is not a bug, it is a design choice and is unlikely to change. Q: Will tracks ever frost or ice over? A: There is some tech in the current code that could handle that, but to complete it would be significantly more work which would see limited benefit. I (Terence) don’t find this likely. Q: Will track loading times be improved? A: Probably not. This is heavily dependent on your system, and is shorter after you’ve loaded a track once before. Q: Will there ever be support for point to point races? With multiple pits along the way? A: The first part has been suggested repeatedly, and we may be able to do something. The second part hasn’t been mentioned to me, so I (Terence) haven’t even thought about it. Q: Will weather ever be truly random? We currently know roughly when it is going to change by how we setup. A: A medium priority task is to do exactly that. 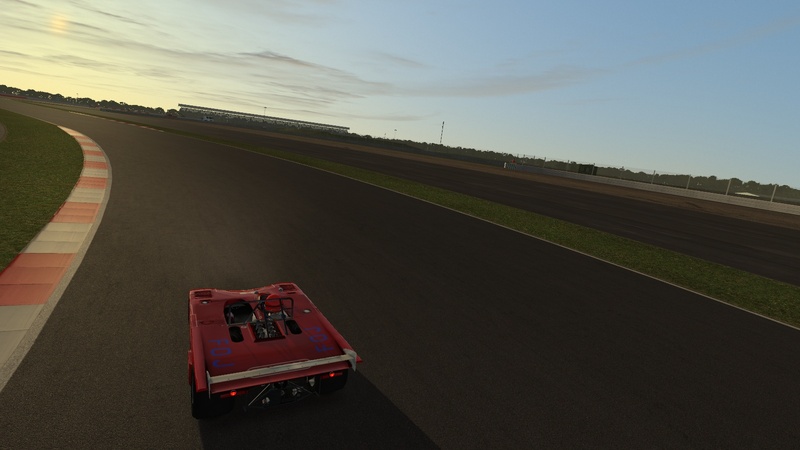 I (Terence) would really like a nice fully random weather system, as well as an option for “hot lap” weather – a mode where the weather including RealRoad is consistent for hot lap competitions. 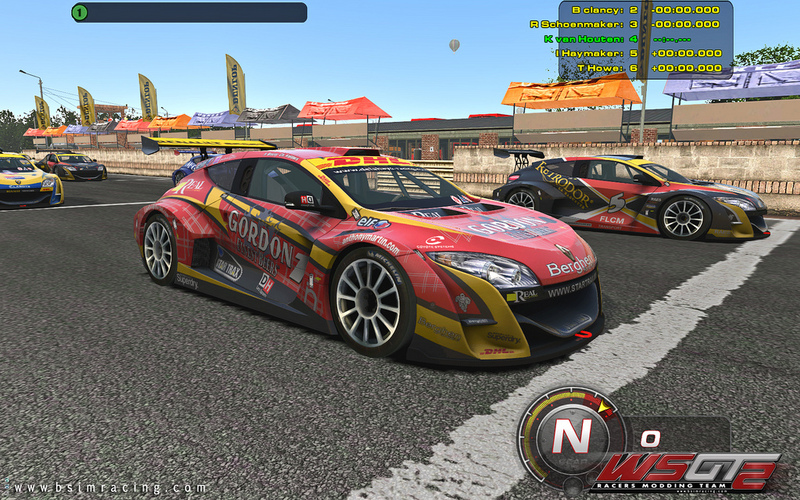 Q: Will the “Weather Tool” program (by Gerald Jacobson) be integrated into the race menu options? Q: Are there any plans to introduce proper surround sound support? Q: Any plans to allow choice of Sound Output Device? A: Not at this time, but a good idea. Q: I really enjoyed the developer interview you did with Terence Groening. Will you be doing anymore of these? A: We’d really like to, and will as time permits. We try to disrupt the developers daily schedule as little as possible, and leave them to work on the product most of the time. Q: You said you would not market it until you think it’s ready. Can you give us an idea on things you would like completed? 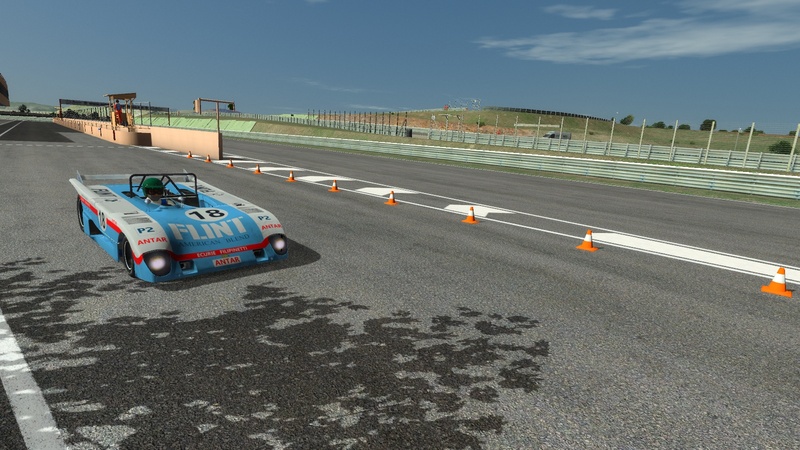 A: Getting all the cars out as individual files, and the cars/tracks unconnected to each other was a big issue for me to wait for, and I (Tim) have been much more outwardly communicative since that happened. Right now I have little issue with marketing the product more openly. The main issue is using content already available doesn’t really work very well… So you’ll see newer content being used for this as we go forward. 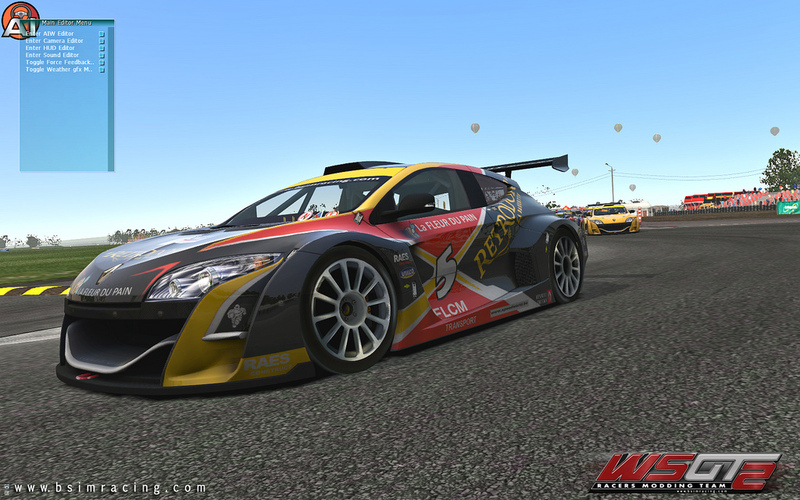 Upcoming licenses we will be working more closely with the manufacturers and owners. Older content, we need to try to use more effectively, by organizing special events, etc. We can’t really announce them again now and expect a big ‘hurrah’. Q: Has hiring the new staff helped get things back on track? A: It has been great to see new staff, but Gjon would say we were never off track to begin with. While there were expectations both inside and outside the company of every kind, Gjon always maintains a calm approach to development. We’re building a product that people want, that we want, not what we can squeeze into a set schedule. Staffing (in terms of their work ethic and ability) at ISI is one of the things that really impressed me when I (Tim) joined the company. Few companies are run this well. Nuevo vídeo de ADRIANF1esp comparando el circuito de Sepang en rFactor 2 con el la realidad de este track, se puede observar como es un circuito echo a la medida del real. 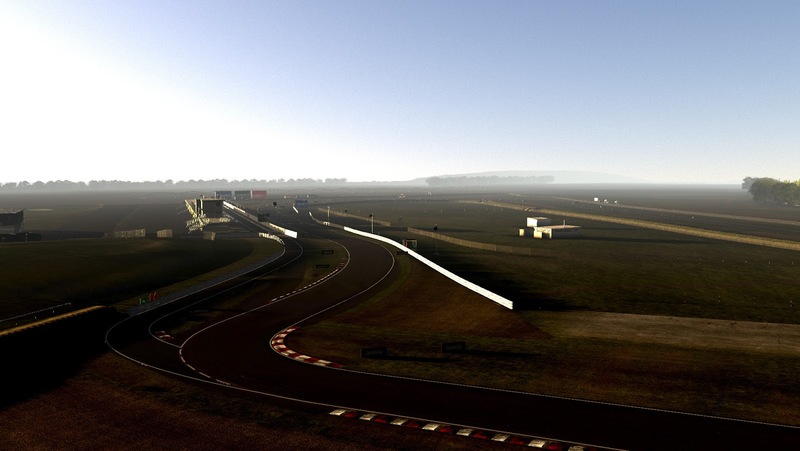 Dos nuevos vídeos de este nuevo circuito para rFactor 2 Symmons Plains en el que ya podemos ver lo poquito que falta para su liberación. Mucha calidad en la creación de WD. 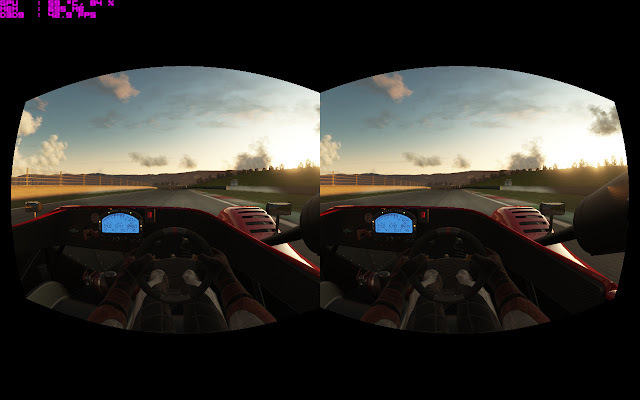 RF2Rift Oculus Rifplugin para rFactor 2 ha sido liberado por Vittolo para poder disfrutar de esta vista dinámica en el simulador, muchos ya la estaban disfrutando en otros títulos, ahora podemos disfrutarlo en rF2. I assume you have Tridef beta with Oculus Rift support installed (see Tridef beta installation and settings below). Since Tridef uses the Oculus Rift headtracker the plugin wouldn’t have access anymore. Rf2RiftOccupy.exe is needed to prevent Tridef to use the headtracker. SETTINGS->CONTROLS->CAMERA and assign “Look Down” to a button on your wheel. When you press the Look Down button (in car) the headtracker gets recentered and calibration starts. Flags and symbols (top left). Messages (top). The HUD MFD (bottom right, access with key 6 by default) and the HUD Stats (bottom, access with key 4 by default). Virtual mirrors aren’t visible, they would break immersion anyway. TODO Test new resolution possibilities Tridef Ignition 3.7.6 beta 4 provides to optimize FOV and FPS. Nuevas imágenes del nuevo circuito rFactor 2 Bahrain enseñando las texturas y todos los detalles que albelgará este track que pronto podremos disfrutar.